Prior to starting your restoration project, Zakalak Restoration Arts can offer a variety of services such as creating scopes of work, assisting with scheduling, advising on protection plans, building assessment and treatment recommendations and color analysis. Our studio can prepare architectural and shop drawings for ornamental applications. 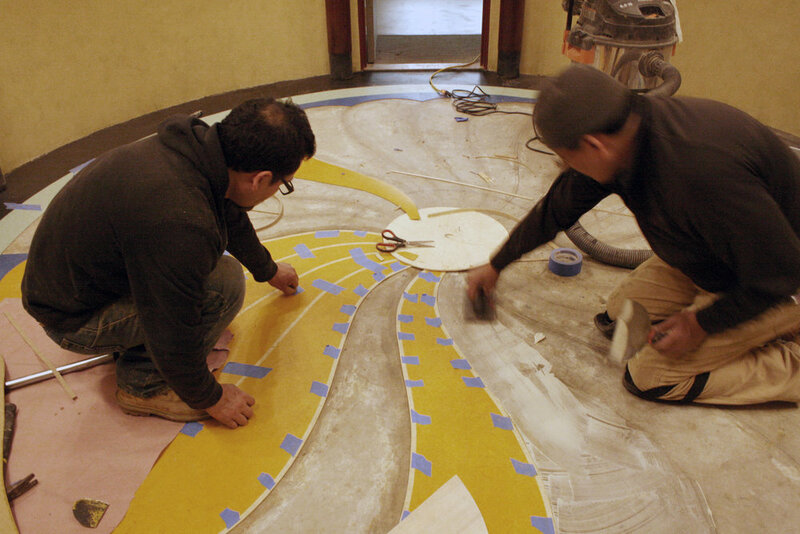 We can create original designs for plaster, terrazzo, stone, metal and wood. We maintain a library of wood and plaster profiles. Installation of Powder Room inlaid linoleum floor.